National Board National Board Presents: What Are You Learning this Holiday? 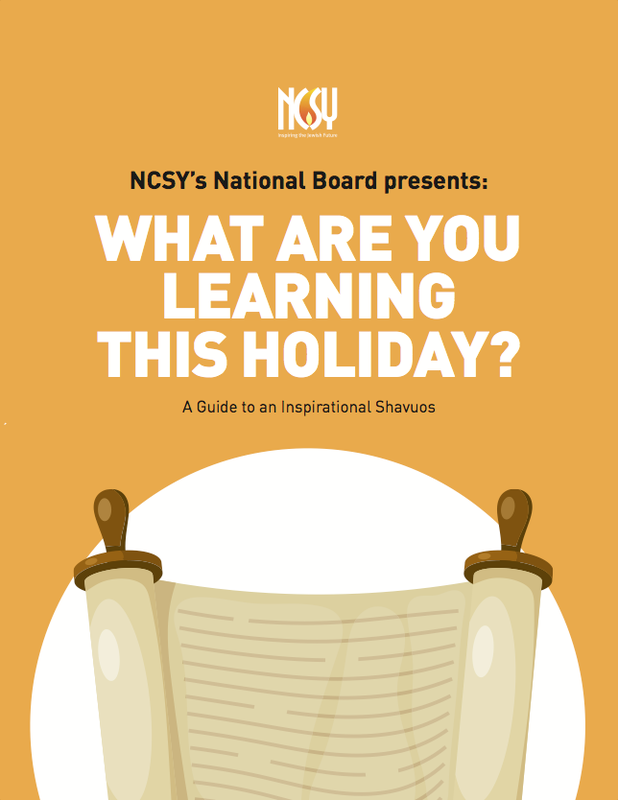 National Board Presents: What Are You Learning this Holiday? We’ve all been there – desperately chugging through the first night of Shavuos, only to find sleepiness conquering your concentration. What if there was a concise learning guide, stocked to the brim with recommendations for Torah study from Jewish teens around the country? What if, instead of slogging through chapter after chapter of the same book, you could easily find intellectually stimulating sections of countless works ranging the spectrum of Jewish thought? So, add some spice to your Torah learning and enjoy your very own NCSY National Board’s What are You Learning This Shavuos? A Guide to an Inspirational Holiday.